For one day only, we’re moving! Don’t look for us in our usual spot, as our last market of the month will be held on Saturday 27th August, 12-6pm, at the Klondyke Club, Burnage Range (off Albert Road) M19 2HQ. SO EXCITING! 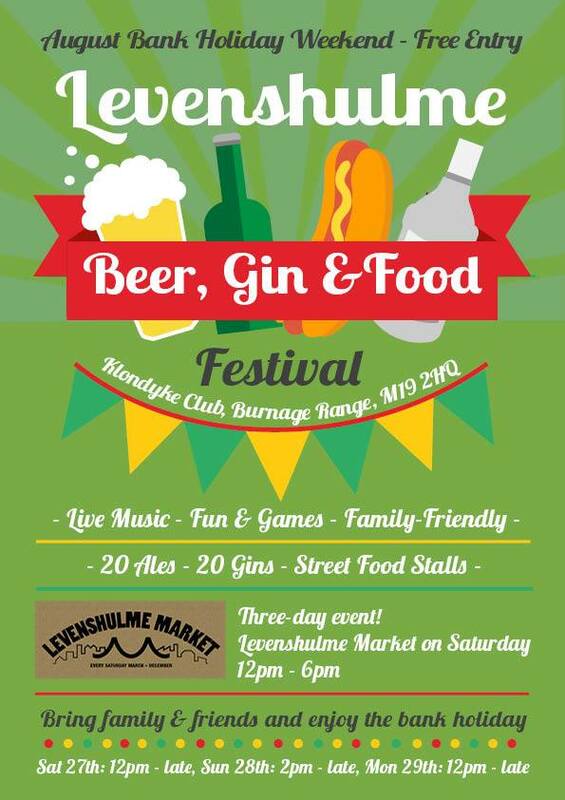 For the very first time, Levenshulme Market is picking up sticks and decamping over to the beautiful green space at the Klondyke Club, just in time to open the weekend-long free Levenshulme Beer, Gin & Food Festival 2016. Yup, it’s free! All weekend, and with a market too! 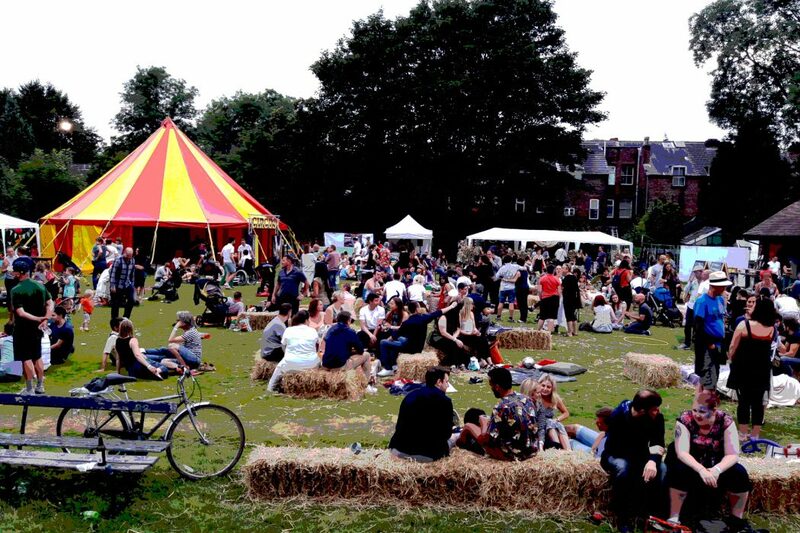 This fabulous new festival promises 20 ales, 20 gins, food and loads of family-friendly entertainment and live music. It’s on all weekend long, from Saturday 27th to Monday 29th till late (times on poster). It’s FREE to get in all weekend long, although some activities will be chargeable. Levy Market will be dropping in on Saturday 27th August from 12-6pm to provide your usual ace mix of arts, crafts, jewellery, vintage, vinyl and of course – ALL THE FOOD. If you get the beer munchies on Saturday evening, some of our foodie traders are pulling a late shift. Your fave regulars will be there too, so you can still pick up your organic veg and weekend stash of cheese. Read the full trader line-up here, and drink in all the market goodness and goodies below. Keep updated on the latest news over on our Facebook event page. It’s going to be MEGA.